There has been a lot of talk lately about how so many Mum’s are only existing in their children’s photos in their own “selfies”, lots of articles with headlines such as ‘Dear Men, Take The Photo’. So many mums are the family photographer that they don’t actually end up in any photos, they of course are also prone to a little bit of “oh I don’t like photos of me” etc. It is SO important that Mum’s get in the photo and that Dad’s take the photo; quite simply Mum’s need to exist in photos of their children. Still not quite convinced… think of the photos of your childhood that showed you with your Mum or Grandmothers, do you wish you had more to treasure? I certainly do! With that said I’d like to introduce you to our newest portrait sessions, Mumma Love sessions are a relaxed way of making sure Mum has some portraits she will love (thats my job!) and that her children will forever treasure. The perfect Mothers Day Gift for Mum’s with children of all ages, a gift to become a family treasure! Drop a hint to your husband (lets face it most haven’t been shopping yet) or just do something special for yourself. I Would LOVE to create these precious memories for you and your children! We accept direct deposit, cash, Paypal or EFTPOS, Visa & Master Card in person. Layby is also available. 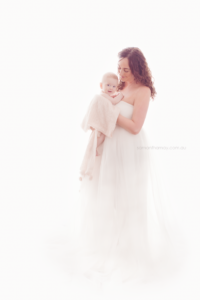 This entry was posted in Baby Photographer | 1 to 6 Months, Family Photographer and tagged baby, family portraits, mummalove, perth baby photographer, perth portrait photographer, Samantha May Photography - Perth, studio.